Discussion in 'Userscripts, Extensions, and Software' started by Yuk, Aug 19, 2016. **Edit 1/20/17: There is now another extension for Chrome/Firefox that @Kadauchi has made called Mturk Suite. 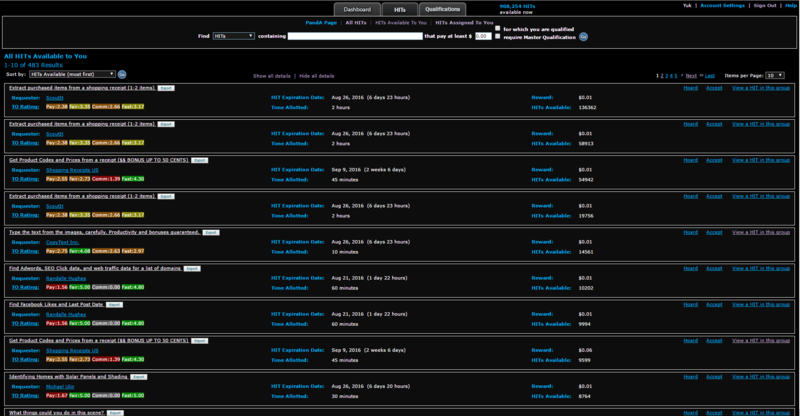 One of its features is the ability to use dark theme making Stylish obsolete just for the purpose of Mturk. However, Stylish is still a fantastic option for changing the colors on every other website. Stylish is an extension for Chrome (link) and Firefox (link) that allows you to customize the CSS on any page. This basically means that you can change the colors of any page you visit to something more suitable. 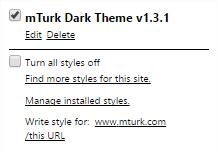 It's possible to create any style you want for any page, but the only one I have used for mTurk specifically is the mTurk Dark Theme made by @Kadauchi , which works fantastically with no noticeable slowdown of any kind I have noticed in the many months I've been using it. Installation steps are explained in their help page but essentially you first install Stylish like any other extension and then visit the userstyles page of a theme (such as the mturk dark theme linked above) and add it to your Stylish. Michele, Kadauchi and Barbwire like this. This is extension combined with kada's dark theme is really great! i use that one , hope you enjoy it too it is have dfferent color schemes. you can choose. 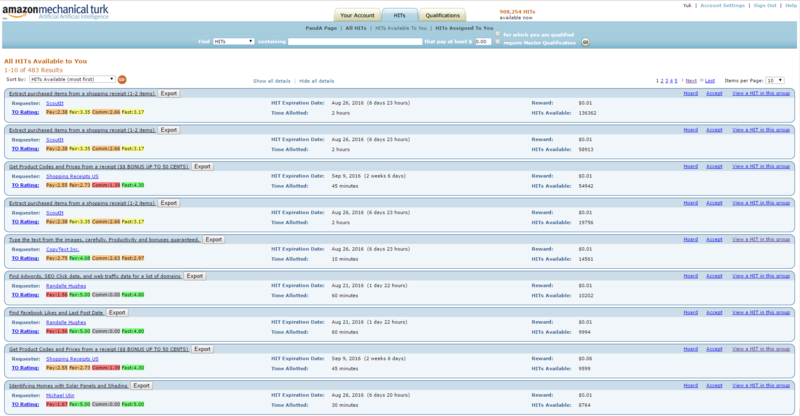 MTurk oldie. Let me know if you have question. Check your other scripts (turn some off to experiment), adblock, and other extensions, as well as anything else installed on stylish. Those are what could mess with it.